You are here: Home » Blog » Homemaking » All Ready for Another Year of Home Educating! All Ready for Another Year of Home Educating! As Abbie will be turning 5 this year, and has recently learned to read and develop a much keener interest in exploring new topics (“Mommy, how does my body move? But I mean, what makes my muscles move my legs? But why…”), this will be our most formal year yet, although our main focus will still be on character development, Bible teaching, and learning to love learning. After all my hemming and hawing and researching, in the end, I went with Math-U-See. Although she is already beyond a lot of the concepts in the Primer book (the first book), we’ve decided to start her there anyways, to help her establish a really solid foundation in the program. We’ve been using it now for a few weeks, and so far, I like it. It’s not colorful or flashy, but I think it is teaching these beginning concepts well. Abbie feels successful, and enjoys doing it most days. She loves the manipulative blocks and the videos that we watch at the beginning of each unit. I love that I totally understanding what is being taught and why it’s being taught that way. So far, so good! I’ve decided to go with Rod and Staff Gr. 1, because I love the wholesome nature of their materials, and how Biblically based the program is (as in, it uses the Bible as it’s source of topics for reading- I’m not saying that there is a Biblical way to teach Language Arts, because if there is, I haven’t found those scriptures yet!). I know that at this young age, I could simply pull together my own program, and even find lots of free resources online. The fact is, I’m new to all this. We’re moving into a busy season of life with a new baby and a new business, and this works for me. We’ll be using their Readers, as well as the Reading workbooks and the Phonics workbooks. For penmanship, I will either print off free activities from the web, or make my own, and we will probably do a lot of copy work from the Bible. We’ll also be doing a whole lot of reading, both me reading aloud to the kids and Abbie reading to me. Along with all that reading, we will be working on the skill of Narration, where Abbie will learn to either tell, draw or write for me about what she has just heard or learned about. Our Bible study will somewhat be covered by the Rod and Staff reading program, because it is really, truly all about the Bible! How fantastic is that?
. We are also doing scripture memory, in line with the children’s program at our church. And lastly, I just got a really fun new book yesterday that we just couldn’t wait to begin! It’s called “Draw to Learn” and it will take us through the book of Proverbs. Each day, we will read a few verses from Proverbs, focusing on one key phrase or verse, and read a short paragraph talking about what the scripture means and then giving Abbie a drawing assignment. The drawings are meant to help instill the meaning of the verse and to work on learning to draw more purposefully at the same time. These are really neat books, so check them out! They have several to choose from (Psalms, Life of Jesus, etc.). Well, the book I just mentioned will be a part of this, as I give Abbie opportunities for drawing. In addition, I will be aiming to do an art project once a week or so, where we will work on other art skills like painting, cutting, pasting, crafting, etc. We’re also going to explore some poetry, in a light but fun way. I picked up a coloring book made by Dover, where the pictures are illustrations that go along with a collection of famous poetry. I’m thinking that every so often we will pull this book out and work at listening and repeating the poem with correct rhythm, talk about the rhyming or other interesting things about it, what it means, etc. and then color the picture. from the BC Creation Association. 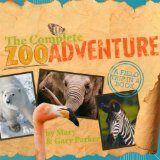 This is a Creation based study of different zoo animals, and is meant to help you put together an enjoyable and informative zoo field trip. Because we have a year membership to the local zoo, we will just work our way through this book bit by bit, as we visit the zoo throughout the year, exploring different groups of animals, birds, reptiles, etc. as a read aloud, and as we do, we will mark on our map where each story takes place and learn a little bit about that country. I’ve also picked up a few books on physical geography, with lots of experiments for younger children. We’re just going to use these as an add on, and every once in a while I’ll let Abbie choose a topics/experiment that she is most interested in learning about. Overall, we’re still going to be keeping things light and easy, with a few areas more structured than before (mainly math, language arts and Bible), making sure that we have lots of fun along the way. I want to remain as flexible as possible, am allowing for a lot of delight-directed learning, and keeping in mind this list of 10 Things To Do With Your Child Before Age 10. We’ll be doing a lot of reading, library visits, hopefully field trips and whatever else we think we might like to do! If anyone’s interested, I’d be happy to post up the schedule I’ve made for next year, let me know in the comments and I’ll make sure I get it posted up. Have you planned out your home educating for next year? What are some of your goals and plans? Any new resources you’re excited to use? Whew... Keeper of the Home is back online! Next Post: Make Your Own Cloth Pads! Thank you so much for sharing this. This will be our first year of homeschooling. My daughter will be in 2nd grade and my son is 4. He attended 3 yr old preschool last year so we will continue preschool and get ready for kindergarten. I would love to see your schedule. I have been accepted on the Homeschool crew for “The Old Schoolhouse Magazine” so we will be using their products for sure. It will be a busy year but we are really excited. What wonderful resources. 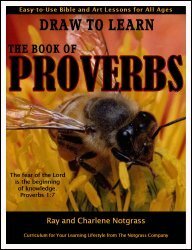 I’m going to look in the the drawing Proverbs book. Thanks for the tip. We have just recently settled on our curriculum for the coming year. I will have a second grader and a kindergartner. I was a language arts teacher, and it has been hard to decide on a language arts curriculum. I found plenty that would adequately educate them, but they lacked the fun factor. So I think this year I am going to write my own curriculum. I have been using my homeschooling blog as a place to do that. For math we are using Horizons, for history we are using Story of the world (and I LOVE IT. Spelling we use natural speller and simply grammar for grammar. I like the last two because they are multi year programs. This is a big departure for us. last year, we were using konos which is an all together curriculum. So this is our first year to have the separate choices. I’ve been working on lesson plans for my 2 and a half year old. We will be doing very light things, but I am the type to need the accountability of having it all written down. I want to be doing deliberate things with him. My hope is that he won’t know he’s learning… but that he will just be enjoying it. He already enjoys “circle/calendar” time… so we are just going to stretch out a bit more. I’ll have to check out some of the resources you mentioned, the zoo book sounds fun! I have been contemplating homeschooling. I love seeing other people’s schedules so I would love if you shared yours. Thanks! thank you so much for sharing! I am going to look into this more. To be honest, we’re not sure where we are going with schooling. Our oldest is 3. This past year, starting around 2.5, we started doing basic preschool stuff…but just out of my head. Nothing fancy. Learning the alphabet and the letter sounds, counting, printing letters, etc. Which she can now all do really well. Also we do a Bible time each day and a memory verse as she finishes one up we start another one. But we are definately doing homeschooling for at least the first few years, and see how it goes and what we believe is the best thing for our family, so I have been in need of finding some resources. Can’t wait to look further into this. Thanks! Thank you for sharing this! We are about a year behind you with our oldest just turning 4. But some of the curriculum you chose is at the top of our list too! In the fall we plan on adding the Rod and Staff Preschool series, basic math, and moving forward in starting to learn to read. I would love to hear more about your schedule and also what you think of the products as you go along! Wow, eerie again how parallel our circumstances are! We too are doing our most “formal” year of homeschooling, though my just-5 year old is just starting to learn to read, and I have an almost-8 year old… I’ve ordered “textbooks” this time, and am scared a bit, but I know that with a 2-year-old and newborn, this year won’t fly at all without more structure than we usually use. For penmanship, may I recommend Happy Scribe Copybooks? I ran across them lately, and like how easy they are (very affordable, downloadable, then print out what you want). There are several bible-themed ones, and each book has pages for manuscript (the stick/ball printing method) and d’nealian (what we use and love) as well as cursive (which we don’t use yet). Each also has the upper and lowercase alphabet and numbers at the end for additional practice. Sounds like things are shaping up for a good year! We’ve only been homeschooling for a year and the biggest reason I am now committed to it is narration. It is key and is where the “exceptional” benefits of homeschooling are seen. (Of course I don’t include the endless non-academic benefits) If any thing to keep routine (academically) during this busy season I would be diligent in this. On another note, and I don’t speak from our own experience but so much I read before we began h/s advised not to use the Bible for copywork. You may want to investigate the reasons. I was wondering if you are going through a homeschool company (like Heritage or TLA) or if you are doing it ‘traditional’? Thanks for letting me know you’re interested in the schedule. I’ll make a note to post it up soon. The topic of homeschooling our children has been flying around our home a lot lately!! I am all for it and my husband has some reservations. It is certainly a matter of prayer but we have time as our oldest is only 4. I too would love to see your schedule and want to thank you for sharing your curriculum choices!! Can’t wait to go and check them out!! Reading your homeschooling plans really has me yearning to do this with Abigail this year (and next). Being a teacher myself, I’ve realized that teaching my daughter (formally) would bring me such joy! She has really enjoyed the learning times we’ve done lately and has been especially interested in learning to read and in learning French. I am going to have to give this topic much prayer because I’m not sure that it will fly with my husband as well as I may need to go back to work in a year. Thank you Stephanie for sharing your life with us! It is such an encouragement and always thought provoking! Each spring, as I finish up one year, I plan for the next. I feel that each year as I reflect, read, pray, plan, that God provides new direction and focus for the upcoming year. This can include an academic area to spend more time on, or a character/life skill area to improve in. It is always exciting to see the year come together…and to realize that God has an amazing plan in store for us – not just for my kids but for my personal growth as well. Homeschooling is a wonderful journey. Thanks for sharing. I have a daughter who just turned 4, a 2 year old, and I am 36 weeks with our third. I am interested in checking out the Draw to Learn Series. My goal is to teach my daughter to read this winter. You said your daughter can read. Do you have suggestions of what worked for her or materials you used? Thanks. Thanks for the reminder about getting things up for school. My youngest is the same age as your oldest? who is almost 5. I think I need to figure out what we are doing and order the books for the older kids. (The older kids have their class schedules, but I don’t have the books!) Ugh. The kindergardener will probably do “Teach your Child to Read in 100 Easy Lessons” and some form of math. I also use Rod and Staff in our homeschool. Just a bit of advice about the grade 1 language program: Unless your five year old is pretty advanced, it may be a little difficult for her after the first phonics workbook. They REALLY pick up the pace in the second unit. I’ve started my daughter at six years old, and it still can be a bit challenging at times. However, I’ve used and reviewed tons of phonics programs and I doubt that any could be more thorough. If you wanted to complete the course in two years, rather than one, it would still put you far ahead of many phonics programs. It’s a great program! Just the right mix of phonics drill and sight reading to keep them interested. And if you ever get harried and want to simplify a bit, there’s probably more than enough printing in their reading workbooks for any five year old. Jodi, I taught my daughter to read primarily using the ideas in Ruth Beechick’s “A Home Start in Reading”. It encouraged me to use a lot of very natural and simple methods for teaching phonics sounds and the concept of putting those sounds together. I also used some very simple little books called “Bob books”, which we would sound out together, and now we take turns reading the pages. Each book focuses on a different phonics sound or set of sounds, and they start out very easy and gradually get more complex. thanks so much for this! this will be our first homeschool year with our 4 (soon to be 5) y.o. and of course our almost 2 year old will get to reap the benefits of “playing along”! 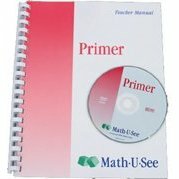 i’m still researching curriculum and am getting stumped on reading/LA and math. so many choices! love the blog! can’t wait to read more! We LOVE Big Truths for Little Kids! They are very well written. 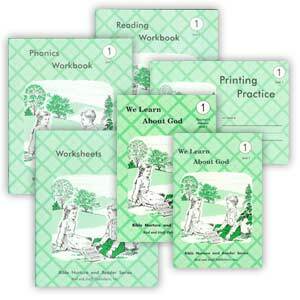 When your children get older, check out Teaching Hearts – Training Minds – an excellent devotional based on the Westminster Shorter Catechism. I really enjoy your site!